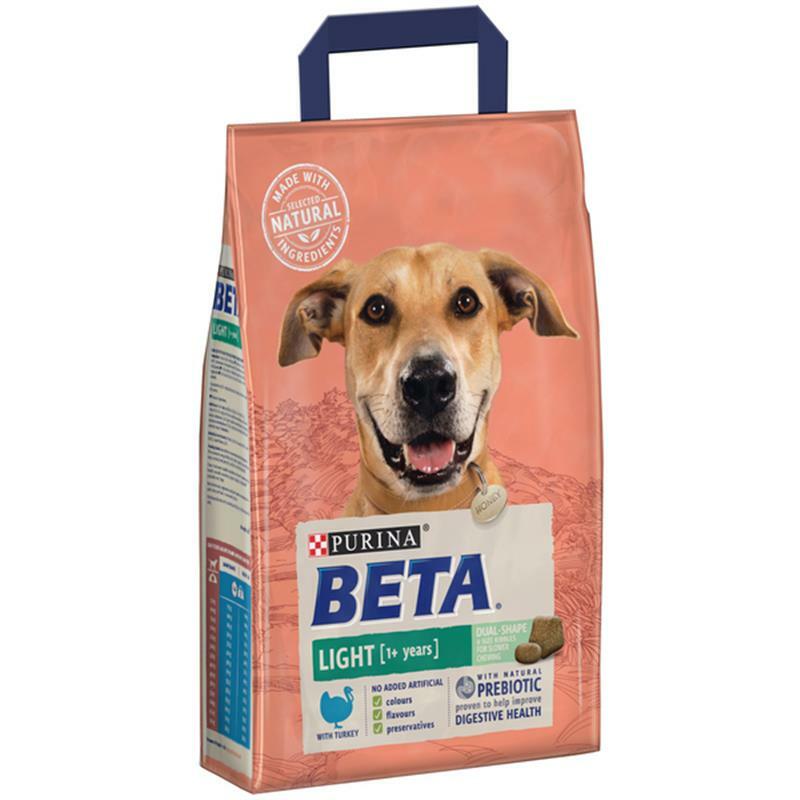 BETA Adult Light With Turkey - 2.5kg. BETA 100% complete and balanced nutrition tailored for overweight dogs to help reach a healthy body weight while maintaining food enjoyment. Contains dual size kibbles for good oral health and designed to encourage the dog to chew the food.